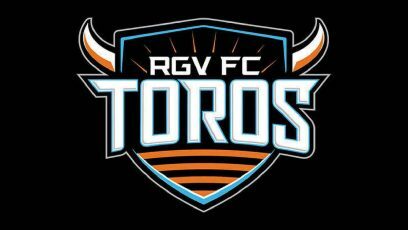 EDINBURG — After 60 minutes of scoreless soccer, the RGV FC Toros entered the last stretch of Saturday’s home finale deadlocked with Fresno FC. The Toros have long been eliminated from playoff contention, so coach Gerson Echeverry was not interested in a conservative approach. He subbed midfielder Bryce Marion on for defender Omar Ontiveros in the 83rd minute. Less than 90 seconds after the late substitution, forward Carlos Small netted the game-winning goal in the 84th minute, lifting RGV FC to a 2-1 victory. The winning play was triggered by defender Conor Donovan, who switched the field to the left wing. Jesus Enriquez fielded the ball on a bounce and played a header to Small at the top of the box. Small’s first touch put the ball around a defender with his left foot, and his second was a low shot into the center of the net from about 8 yards. The win improves RGV FC to 7-12-13 on the season, including a 6-3-8 record at H-E-B Park. The Toros are just 1-9-4 on the road. In addition to assisting on the winning goal, Enriquez netted RGV’s first tally in the 9th minute. He stole the ball from a defender on the left edge of the penalty box and then dribbled down the byline to spark the attack. He sent a low cross toward the middle that was deflected by Fresno’s keeper and another defender before bouncing back toward Enriquez, who connected with a diving header. Echeverry’s perspective on the play was a little different. The goal was Enriquez’s team-leading sixth of the season. He scored just once in the Toros’ first 16 matches but has tallied five times in the 16 games since. Agustin Cazarez equalized for Fresno with a header in the 14th minute, but the Toros controlled play most of the way. They held a 24-13 advantage in total shots, a 10-4 margin in shots on target and maintained 53.6 percent of possession. RGV entered the match ranked tied for 29th in the USL in goals with 31.